Milton Keynes isn’t known for all that much; the large town was purpose-built in the 1960s to give people in Buckinghamshire a taste of big city life, and is only just developing a name for itself culturally. Its National Bowl may host musical events for up to 65,000 people, but you don’t hear of too many big names coming from the town. That is, until now. Enter Raveneye, featuring blues guitar wizard Oli Brown, the Australian bassist Aaron Spiers, and drummer Adam Breeze, who’s from. The harsh truth is, that only one of the band’s three members hails from Milton Keynes – Oli Brown – but as the frontman and original member, Raveneye can consider themselves the best thing to come out of Milton Keynes since England’s football sensation Dele Alli. Their inspiration can be found from the likes of Led Zeppelin, Jimi Hendrix, Audioslave, Nirvana and Queens of the Stone Age. Raveneye’s sound is an amalgamation of the above, with a stadium-rock presence. It’s full of blues riffs, heavier moments topped with a silky-smooth voice. 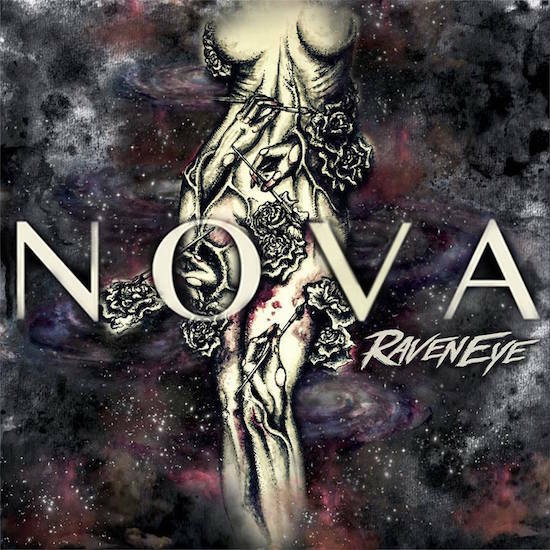 As the band’s debut record, NOVA needed to sell listeners on everything Raveneye is about. Speaking to Rock and Roll Connections, Oli Brown explained the need for their debut album to excite any potential fans and get them to their energetic live shows: “It’s our debut record so we wanted the sound to be more on the edge of the seat and high intensity! We wanted the first impression to be a true representative of our energy in our live shows.”  NOVA excels in all of these areas. It’s an energetic, fun record that carries an intensity created by its rather relentless pace of riff after riff. Brown also spoke of the band’s influences, saying that Raveneye has a “supermassive sonic atmosphere of hard rock mixed with a love of classic influences Hendrix, Zeppelin and love for 90s Seattle grunge.”  All of these aspects can be clearly heard throughout NOVA. You get the guitar-heavy opening with ‘Wanna Feel You’ that sounds like it could have been lifted from an Audioslave record. The term used by Oli Brown, ‘supermassive’, to describe NOVA’s sound, is entirely correct. Each track sounds like it could be played in front of crowds in their thousands. The sound is accessible, but memorable, with catchy riffs, choruses. The guitar usually leads each track, but the instruments flow together brilliantly, showcasing effortless chemistry. NOVA is a restless record. Tracks like ‘Come With Me’, ‘Inside’ and ‘Hate’ are in-your-face, fast, heavy tracks, that perhaps share more in common with bands like Queens of the Stone Age and Foo Fighters than Jimi Hendrix or Led Zeppelin. Tracks like this are where the high intensity sound Brown spoke of can be found. This is edge-of-your-seat, heavy stuff. On the other hand, there are the slower tracks too, such as ‘Oh My Love’, ‘Supernova’ and ‘Eternity’. These are slightly more progressive songs that showcase the brains behind the band. ‘Oh My Love’ features a slow, muddy riff, with Brown’s incredible voice pitched lower over proceedings that builds up into a big crescendo. It’s a slow, heavy blues track, and possibly the best on the record, capped off by an incredible guitar solo that shows off Brown’s slick skills. In a different vein, ‘Supernova’ carries your classic stadium-rock sound. It’s a big track, but not quite as heavy – one to sway your lighter along to. ‘Eternity’, the album closer, is the lightest of all eleven. It’s slow, quieter yet cinematic in its scope. For an album that’s almost constantly restless and energetic, ‘Eternity’ is a relaxing finale, and you’ll be thankful for it. 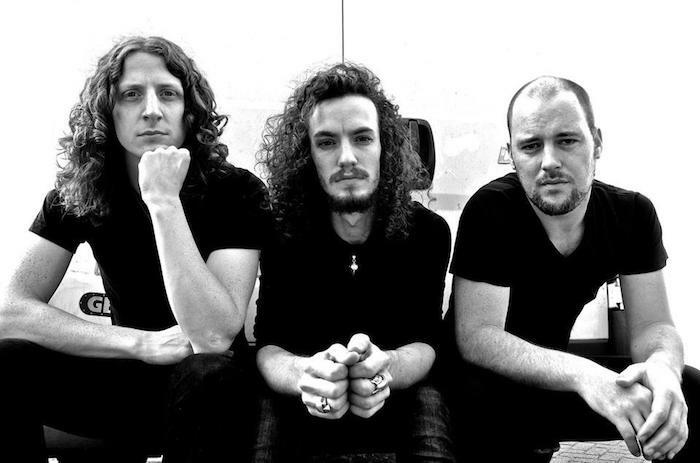 Raveneye are a band going places – their placement on festival bills such as Download with only an EP at the time is only testament to their sound and presence. Raveneye’s sound is accessible for a large cross-section of hard rock, blues and maybe even metal fans. NOVA certainly carries the ‘supermassive’ sonic atmosphere the band aim for – it wouldn’t be surprising to see this group from Milton Keynes playing stadium-filling tours across the world in the next few years, maybe even their own MK Bowl show. 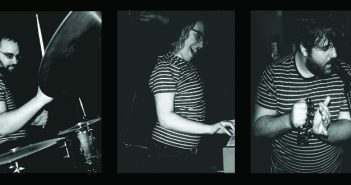 I'm the one you'll see at the back of gigs, nodding along, holding the same beer for hours.